It's been a few weeks now since my first Code Club finished. It ran for 10 weeks at Dormansland Primary School in West Sussex during the spring term and we finished just before Easter. After starting off a bit apprehensively, I couldn't have been more pleased with it. I tried to adapt the style and pace to the capabilities of the children. I went with a presentation style, with everyone working on the projects at the same pace. On the whole, it worked well. There was a mix of abilities and keeping everyone at the same pace possibly made some of the faster children a bit frustrated and eager to continue. I might try a different approach next time and produce project packs for each child, letting them work at their own pace. I was constantly overestimating the amount of work we could fit into the hour. (Note to self - must learn to do better! ), but we just carried on from where we left off the week before, and it worked out quite well that each project lasted 2 weeks. There was more often than not enough time at the end of the 2nd part for the children to explore and play and modify the projects on their own which is a very important part of learning. I was sorry to see that one of the children had dropped out half way through, but fully appreciate coding isn't for everyone. It's much better to do that and go on to do something more enjoyable than to sit and endure something you're not keen on doing. To give a sense of accomplishment, I made up some certificates for the children. It rounded off the club nicely, and I think they were really pleased to receive them. 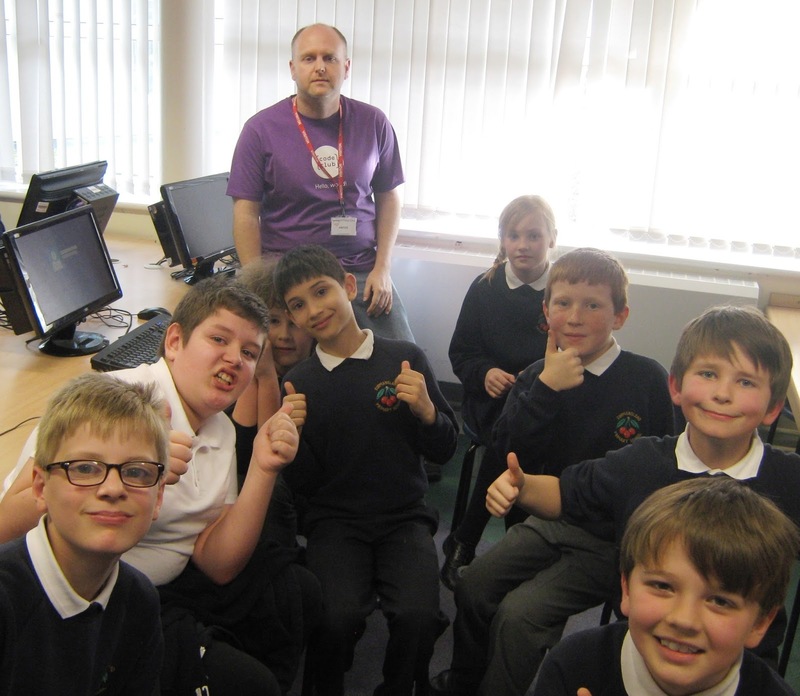 While there was certainly a range of skills and abilities from the children, all of them (including the one child who stopped attending) did really well and were picking up and understanding the principles of coding. I'm very proud to have been given the opportunity to run the club, and very proud of the effort and work put in by the children. I'm sure they learned a lot, and I'll be keeping an eye out to see some names in the world of software development in the future! Thanks to Mark Cook, assistant headteacher at the school, for giving me the opportunity to run the club. And thanks to Daniel Milne, teacher, for being 'crowd control' at the club! Most of all, a big thank you to the children at the club for making it such an enjoyable event. It was definitely a learning experience for everyone!